James Cameron has announced that the main cast of the Avatar sequels have wrapped production. While the main cast is finished with the sequels, Cameron will go through the lengthy post-production process. Actress Sigourney Weaver revealed last month that she was working on Avatar 4 and Avatar 5, adding that there is a lot of underwater scenes, which meant that she and the other actors had to learn how to free dive to get into their roles. 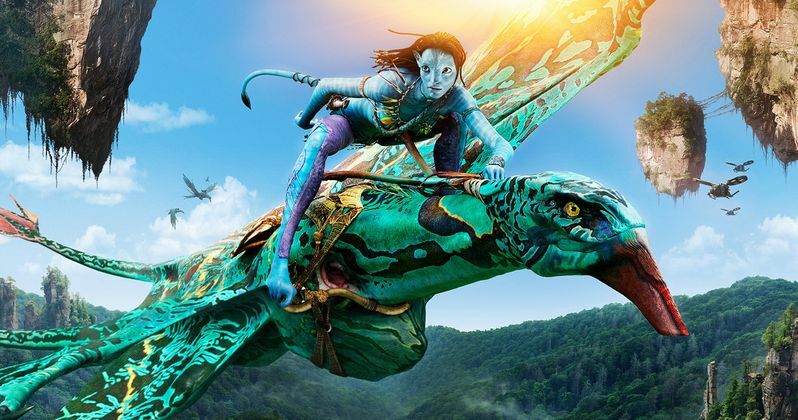 In a new video on social media, James Cameron announced that the Avatar sequels have finished principal photography. The director made the announcement while also promoting the latest trailer for Alita: Battle Angel. Cameron mentioned Sam Worthington, Zoe Saldana, Sigourney Weaver, Stephen Lang, and Kate Winslet, praising them for all of their hard work on the Avatar sequels. Production on the sequels started back in September of 2017, so the cast and crew have been going pretty hard in order to meet all of their deadlines. With that being said, Cameron was still on the set filming some stunt work as of yesterday. Avatar 2 hits theaters on December 18th, 2020, and will be followed by Avatar 3 on December 17th, 2021. Avatar 4 and Avatar 5 are expected to hit theaters on December 20th, 2024 and December 19th, 2025. James Cameron has said that they will not release the fourth and fifth installments unless the first two sequels are hits at the box office. Considering that the first installment is the highest grossing movie of all time, and taking into account that Sigourney Weaver has worked on four and five, it seems likely that we will end up seeing all five movies in the next handful of years. James Cameron spent months in the pre-production process for Avatar 2 with the cast and crew in order to get the new underwater motion-capture technology worked out. It's during this time that the cast learned how to free dive as well. The new technology will more than likely be another gamechanger for the entertainment industry, which is something that Cameron is no stranger to. However, it's going to be another two years before we get to see what Cameron has accomplished. The time frame shows just how much time the director will have to spend in the post-production process to get everything just right. Story details about the Avatar sequels is being kept under wraps for the time being, but the titles have all reportedly leaked. The sequels will be titled, Avatar: The Way of Water, Avatar: The Seed Bearer, Avatar: The Tulkun Rider and Avatar: The Quest for Eywa. These titles have yet to be officially confirmed, but they are rumored to come from official documents from the set. They could end up being placeholders for the real titles, so hopefully we the real information soon. For now, you can check out James Cameron's video for the fans below, provided by the Avatar Twitter account.